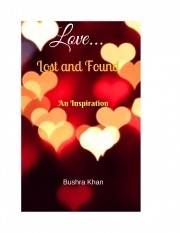 Description of "Love - Lost and Found (eBook)"
Life has many ups and downs and every individual is born to face it and succeed in life. This is a short story about a girl who was once an innocent and tragedy made her to see the lonely dark world and eventually made her stronger to succeed in life. Sarah was dependent on her mother and led a royal life with her family. But the royalty did not last long and made her to step into a world of complete darkness where she realized her true value and moved on in life. Reviews of "Love - Lost and Found (eBook)"